I’ve spent the last 13 months as Marketing Director for a SaaS company, Ambition, that is based in Chattanooga. Over the last year, I’ve experienced firsthand the benefits – and detriments – that come with growing a SaaS startup not just outside of Silicon Valley, but a major metropolitan area. The purpose of this story is to help you better understand what those benefits and challenges will be, and how to use the former to your advantage while mitigating the latter. Want to grow a SaaS startup beyond the Valley? Here are 5 reasons you should – and also several warnings of what you’ll be up against. Some quick background specs on Ambition. Our four co-founders spun Ambition out of two previously failed startups in February 2013. After launching with a team of 6 engineers, plus one graphic designer, they slowly, steadily began building an enterprise software that could best be described as “Fantasy Football for Sales,” at its initial stages. Ambition was accepted into the W14 Y Combinator batch and graduated in March 2014 near the top of our class. Against the strong urging of numerous investors and SV bigwigs around that time, our cofounders opted to keep the company here, rather than move it to the Valley. It’s (mostly) worked out. As of June 2015, Ambition is gaining traction as a sales productivity and analytics tool used by the likes of Dropbox and Berkshire Hathaway-company Clayton Homes, the latter company becoming the subject of an effusive Harvard Business Review article about Ambition. We’ve scaled our team to 18 members, including 6 engineers, 2 data scientists (one a Harvard Ph.D in Atomic Physics with stints at MIT and NASA), and committed Marketing, Sales and Customer Success teams. In the process, we’ve faced the ups and downs that come with being a SaaS startup outside of Silicon Valley. First, let’s go over the top 5 benefits. In no particular order, here are the 5 most pivotal benefits we’ve enjoyed as a SaaS startup based in Chattanooga. Here in Chattanooga, we operate at roughly one-fifth the cost it would take to run Ambition in San Francisco and the surrounding area. Pictured: Death, a non-optimal result. That tweetstorm Marc Andreessen went on awhile back about how high burn rates are going to spell the deaths of numerous high-profile SaaS startups in the near future? Not applicable to Ambition. Granted, this benefit isn’t so much about operating outside of Silicon Valley as it is operating in an inexpensive metropolitan area. Launching a SaaS startup based in Manhattan? Good luck. Launching one based in Pittsburgh, Raleigh-Durham, or Detroit? You’re in much better shape. Our total employee turnover — including terminations and employees who’ve left for other companies — is 3. That’s over a total of 27 months. Pictured: Pray it’s no one from the UX team. When you’re growing a SaaS startup, the ability to create office continuity and attract and retain top talent is a huge blessing. It’s much easier to source great candidates in Silicon Valley, to be sure, but it’s also much easier to lose them or go broke trying to keep them at your company. Of the 3 employees we’ve lost, 2 were let go and 1 left for a Cofounder/C-Level gig at a new startup. After 27 months, our employee loss ratio of less than 5 percent. Meanwhile, we still have all of our core engineers, which has been a big reason we’ve been able to build an industry-leading product in such quick fashion. 3) Only gig in town. Growing a SaaS startup outside the valley – especially if you’re in a smaller market – has the major additional benefit of being the only gig in town. How’s that a benefit? The War for Talent is less World War II, and more Gulf War I. Two examples we’ve experienced firsthand at Ambition. Exhibit A. Our top Data Scientist, Rob deCarvalho, is a Harvard Ph.D in Atomic Physics with backgrounds at NASA and MIT. As goes without saying, Rob is an incredibly valued member of our team and huge asset to any SaaS organization. And he reached out to us. The reason? His wife wanted to move back to Chattanooga – and after doing some research, Rob informed us that we were the only company he wanted to join. Our co-founders couldn’t offer him quickly enough. Exhibit B. Our Director of Customer Success, Caleb Williford, is a veteran of two Silicon Valley SaaS companies, Salesforce and IntelliTrans, who also came to us because he wanted to return to East Tennessee, and saw Ambition is the top gig in town. 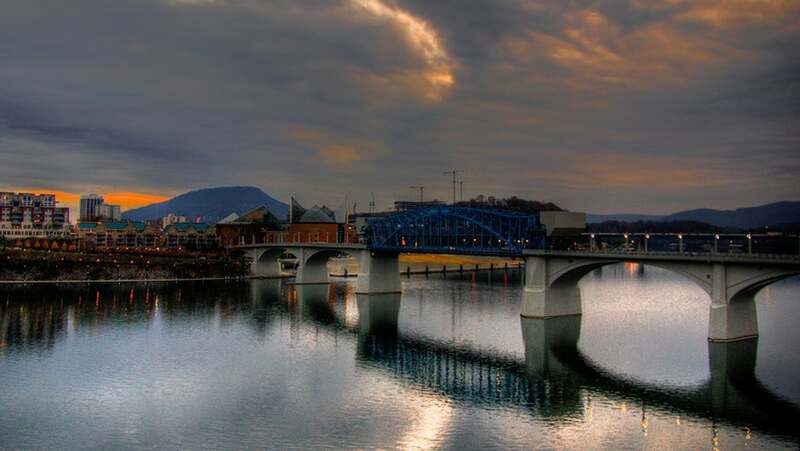 Living in a quiet, small town like Chattanooga naturally improves employee focus. While there are plenty of fun things to do in Chattanooga – hiking, nightlife, etc. — and a growing, tight-knit startup community, this is about as far from the Las Vegases, Miamis and yes, Silicon Valleys from the world as you can get. Pictured: How your employees will look after an all-night trip to the club and/or Hack-a-Thon. It’s a hype-free zone, which means fewer egos, fewer distractions, and the absence of the “We’ve made it” sensibility that afflicts many employees in the Valley. The biggest thing afflicting Ambition employees is a propensity to work around the clock, to the point where we have begun strictly enforcing an annual time-off policy. 5) Chip on the shoulder. Dovetailing off the last point, Ambition employees work extra hard and push ourselves to go the extra mile because of our location. Because we’re not in Silicon Valley, we feel like we have to fight for every ounce of industry and public respect we can get. There’s a deeply-rooted need to prove ourselves that drives our whole team. Growing a SaaS startup outside of Silicon Valley hasn’t been all rainbows and sunshine. I’d counterbalance the above benefits with the following challenges that our team has faced. Not as big of an issue if you hail from Boston, New York, L.A., Atlanta, Seattle, Salt Lake City, or some other startup hub, but definitely something to expect if you’re headquartered in a non-traditional startup city. As our CEO has noted, the great thing about Silicon Valley – and the reason every SaaS founder should attempt to spend some time there – is the incredible opportunities for networking. Whether its sourcing new talent, meeting a pivotal new VC, or talking with an industry expert who can give you the next big idea for your product, coffee meetings in Silicon Valley are always ripe with potential. This is a value-add unique to Silicon Valley — as much talent as there is in New York, LA, etc., no city has the condensed ecosystem of talented and connected players in the SaaS landscape. This is an underrated benefit of growing a SaaS company in Silicon Valley. SaaS companies tend to be early adopters of up-and-coming SaaS startups, with VC’s and industry connections sourcing new prospects and facilitating face-to-face meetings with decision makers. Here in Chattanooga, the lack of viable customers in immediate area makes selling more difficult. We often have to close deals without the benefit of a face-to-face meeting with a prospect and closing a major new client face-to-face typically requires a plane ticket or daytrip to nearby metropolitan areas Nashville, Knoxville, Atlanta and Birmingham. 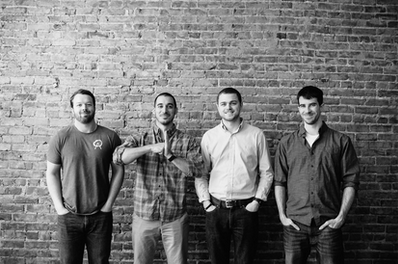 How innovative can a tech company based out of Chattanooga be? I haven’t been asked this question directly, but I’ve heard it in the voice at the other end of the line on many prospect conversations we’ve had. Many of our prospects couldn’t even point out Chattanooga on a map – which is why their eyes always bug out when we tell them we have an ex-Google CTO, a Harvard physicist in charge of our data science, and a published endorsement from the Harvard Business Review verifying Ambition’s effectiveness. No one in Silicon Valley has that problem. The smaller the city you’re headquartered in, however, the more you’ll have to account for it in your sales and marketing efforts. All that, and I’ve just scratched the surface of this topic. If you want an authoritative text on the subject, I highly recommend Mike Belsito’s Startup Seed Funding for the Rest of Us. Achieving a SaaS startup success outside of Silicon Valley is a difficult task – it’s also far from impossible. Just look at major success stories such as HubSpot (Boston), SalesLoft/Mailchimp (Atlanta), Cirrus Insight (Maryville, TN/Los Angeles), and Domo (Utah’s Silicon Slopes). Above all, don’t let Silicon Valley intimidate you. Ambition’s cofounders highly recommend that every SaaS founder makes it a priority to experience Silicon Valley, especially if you can do so via an accelerator. Having that experience will de-mythologize the startup world for you, introduce you to powerful investors and new connections, and leave you with new insights that can help scale your SaaS company successfully — regardless of location. Jeremy Boudinet is the Director of Marketing at Ambition. His writing on productivity, sales and marketing best practices, Millennial workforce optimization, enterprise technology and a host of other topics can be found in Time, Inc., Information Age, and the Ambition Blog. Reach Jeremy at jeremy.boudinet@ambition.com.